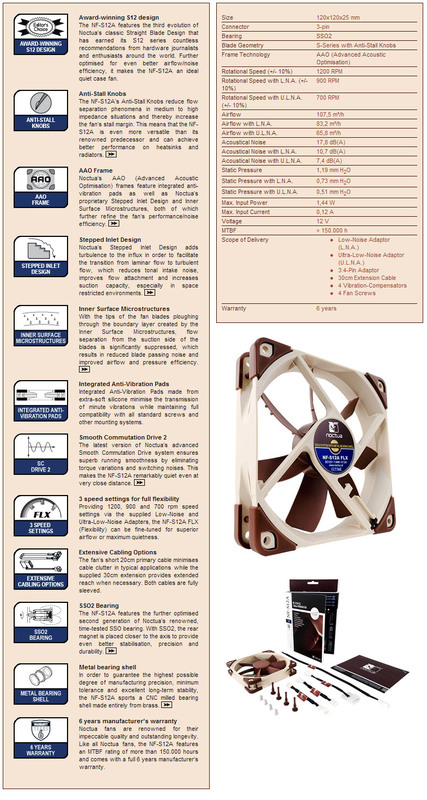 The NF-S12A marks the third generation of Noctua's signature S12 series quiet case fans. Featuring a further refined blade design with Anti-Stall Knobs that works in tandem with the new AAO (Advanced Acoustic Optimisation) frame, the NF-S12A improves the airflow/noise efficiency of its renowned predecessor by up to 8%. 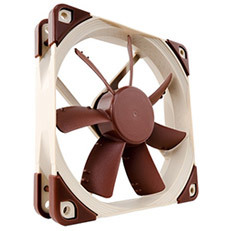 The FLX version provides 1200/900/700rpm speed settings via the supplied Low-Noise Adaptors in order to give you full flexibility in fine-tuning the fan for maximum ventilation performance or near-silent operation.